Vacuum like a pro with the Windsor® Sensor XP Upright HEPA Vacuum. The Sensor XP is a versatile commercial vacuum cleaner that automatically adjusts for carpet or hard wood surfaces. 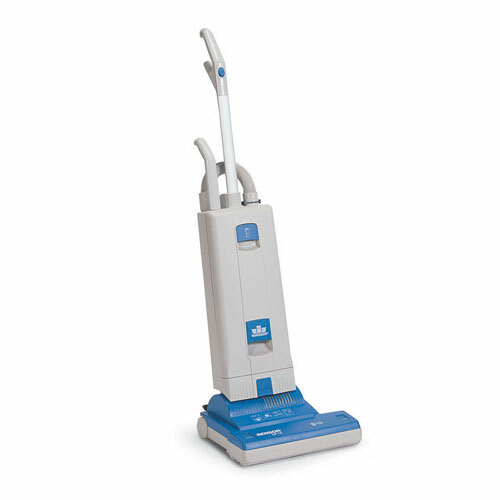 It is powerful and pulls more dirt from the carpet than an average upright, due to its large motor. The high efficiency filtration system traps 99% of contaminants down to .03 microns and the bag is triple-lined. In addition, the Sensor XP is lightweight and quiet; it has indicator lights for full bags, clogs, brush jams and brush height.